A special flag was raised at the headquarters of Waterloo Regional Police. It’s in support of the 50th anniversary of Special Olympics Ontario. Police Chief Bryan Larkin was joined by some local high school athletes who will be competing at the inaugural 2019 Special Olympics Ontario Invitational Youth Games. 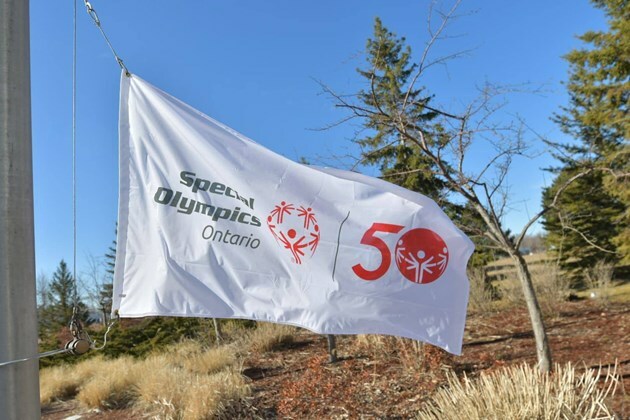 Waterloo Region will host the 2020 Special Olympic Summer games. It’s an Evening to Die For at Grand River Raceway! It's musical Murder Mystery Dinner Theatre fun at Grand River Raceway! These award-winning musical comedy dinner shows take place year round in the Lighthouse Restaurant. Enjoy a 3 course meal while taking in these interactive productions. Don’t be shy: guests are encouraged to be part of the fun!